2016 January Bossman Redfish Series New Smyrna BCH FL. Capt Patrick Rood and Partner Terry Smith take home first place at the January 2016 Bossman Redfish Series in New Smyrna Beach FL. 2015 Mosquito Lagoon on fly- oak hill fl. Capt Patrick Rood and tournament angler Bryan Ward bring home a first place finish over all and top angler on fly at the Mosquito Lagoon on fly tournament. 2015 New Smyrna Bch Fish stock- New Smyrna bch FL. 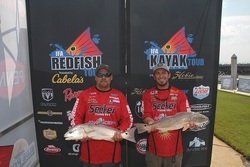 Keep N It Wet kept their momentum rolling from Day One and weighed some really nice fish on Day Two to keep their lead and win the 2015 Redfish & Trout Challenge. The team added a 5.88-pound trout to take third place trout awards and two more reds for a grand total of 31.01 pounds over the two days. 2015 IFA Redfish Tour - Titusville FL. 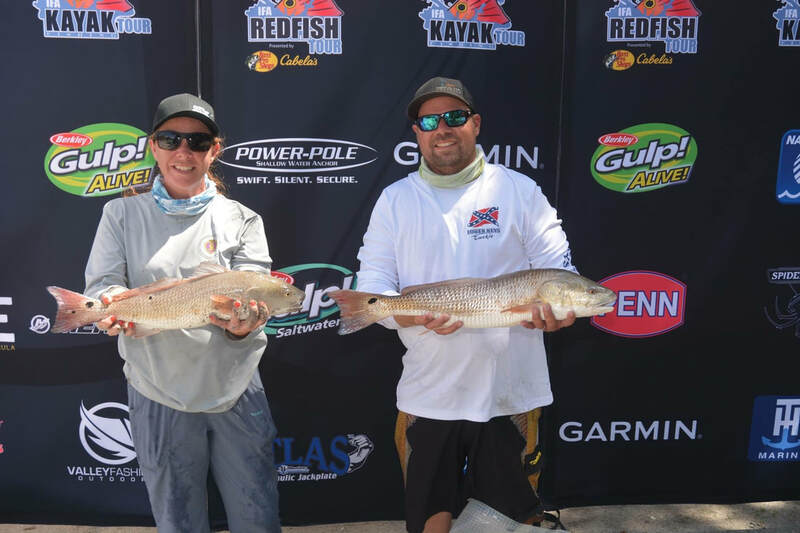 Patrick Rood and Maggie Rood, Team Keep N’ It Wet, weighed a two-redfish limit that totaled 12.29 pounds to win the first regular-season event for the Florida East Division of the IFA Redfish Tour presented by Cabela's on March 28 at Titusville, Florida. 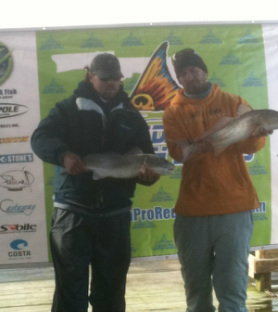 2014 FL Pro Redfish Series - Titusville FL. 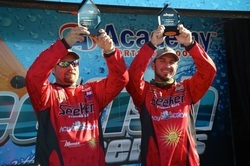 Patrick Rood and Nathaniel Lemmon, Team Seeker, took home the win at the last stop of the Florida Pro Redfish Series in Titusville FL. Patrick and Nathaniel have won three different professional tournament series on Mosquito lagoon this year making a sweep for the year. 2014 IFA Redfish Tour - Jacksonville FL. 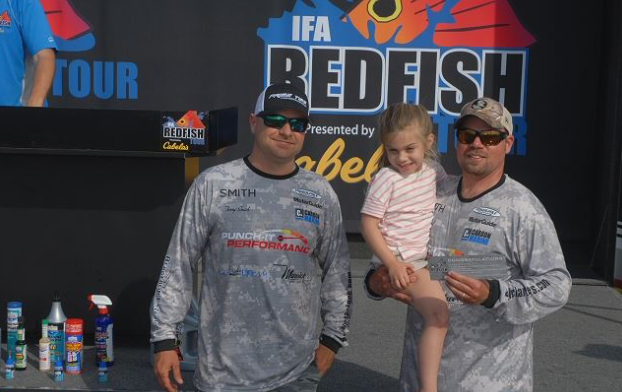 Nathaniel Lemmon and Patrick Rood finish the east coast division of the IFA Redfish Tour with a solid 5th place finish in Jacksonville FL. 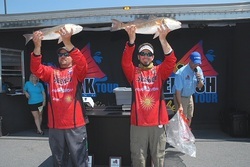 Nathaniel Lemmon, of Edgewater, Fla., and Patrick Rood, of Deltona, Fla., weighed a two-redfish limit that totaled 14.75 pounds to win the first regular-season event for the Florida East Division of the IFA Redfish Tour presented by Cabela's at Titusville, Fla., on April 26. 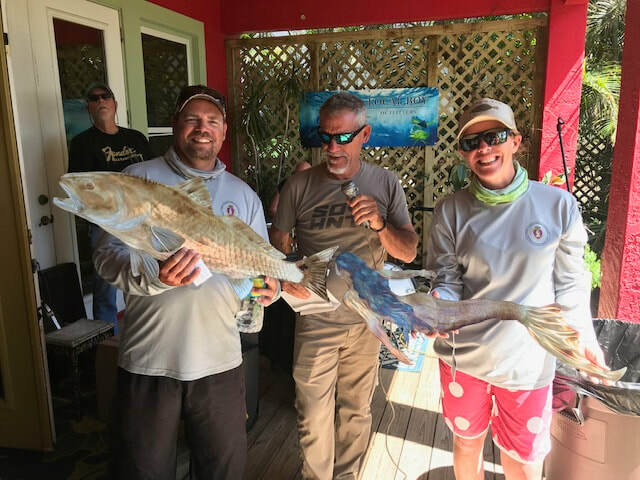 Seven-year IFA veterans and former Divisional Team of the Year, Lemmon and Rood targeted schools of fish along creeks in the Mosquito Lagoon area. The team took home a fully rigged Ranger boat powered by a Yamaha outboard, valued at over $25,000. 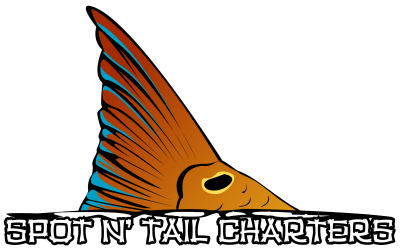 2014 HT REDFISH SERIES - TITTUSVILLE FL. Nathaniel Lemmon and Patrick Rood led wire to wire to take the 2nd tour stop in the East division of the frogg toggs team series. Weighing in 13.12 pounds on day 1 and followed up by a nice 12.05 on day to for a total 2 day weight of 25.17 pounds taking the top spot and $5,000.00. In addition Lemmon/Rood took home 200 points for first place, vaulting them in to the top spot in the chase for the championship. 2014 HT Redfish Series - Jacksonville FL. 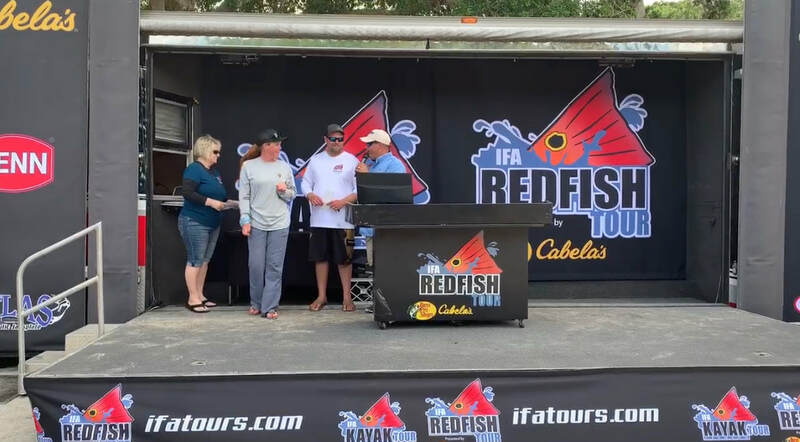 Third place found team Seeker Rods placing 23.54 pounds (just 20/100′s of a pound out from moving in to 2nd place) on the fully automated scales of The Redfish Series and taking home $1,500.00 for their catch. 2013 ifa Redfish tour championship - houma la. Bringing home Team of the Year for Florida East Coast Division. We had a great first day landing in 7th. Second Day, we had one nice stud but couldn't find his brother, we had 4 that measured at 27-1/8" but ain't that the way it always goes! We finished out in 23rd. Had a Blast here In Louisiana. I highly recommend coming here and fishing. During the week here we caught over 150 redfish. This place is slap full of them and they are hungry!! Good people, good food and amazing fishing! 1st place over all, Lady angler, Heaviest redfish, 1st place total points and 2nd place trout. Titusville FL – last stop on the tour – 2nd place team of the year.